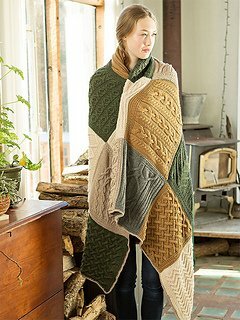 There are 20 squares in this beautiful cabled afghan by Norah Gaughan. Students can choose to do all 20 squares over 20 months or just 12 squares over 12 months. Each square is different. Pattern is free. Requirements: All yarn must be purchased at Mosaic Yarn Studio. 10% discount when buying for class!